Queen icon Brian Mercury said it was a conscious decision to end the film on a triumphant note with Live Aid. Of course, everyone knows how the story ends on November 24, 1991. 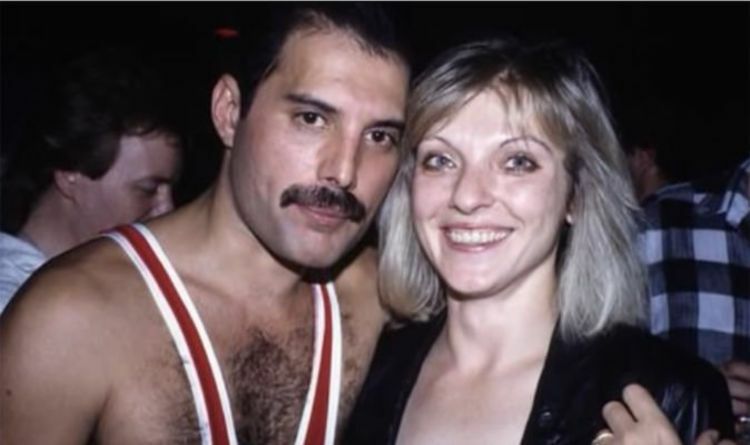 Mary kept vigil in the final weeks with Freddie’s current partner Jim Hutton, and a tight group of friends, including Dave Clark and former boyfriend Joe Fanelli. Freddie decided to stop his medications, only taking pain medication and Mary reveals the heartbreaking reason why. In a rare interview, she said: “I saw a man become incredibly brave. I saw a man become incredibly emotional at times. Mary believes that Freddie chose not to fight his illness anymore for one important reason that expressed him up as an artist, an icon and as the man who inspired millions and was always true to himself. Mary said: “He’d given himself a limit and I think personally that when he couldn’t record any more, or have the energy to do it anymore, then it would be the end. “Because his life really had been his work and I think his joy had been that. I think without it he wouldn’t have been strong enough to face what he had to face. Freddie and Queen famously recorded one last album, Innuendo, in Lausanne, Switzerland. All those who were there paid testament to Freddie’s determination to create one last body of work, one last expression of his artistry and his love of the music. There was one last gift for fans when Queen released Made In Heaven, four years after his death, featuring material he worked on in those last sessions. While only Mary knows where Freddie’s ashes lie, it is fitting that there is a famous bronze sculpture of the beloved icon standing on the shores of Lake Geneva.